$1285.07 ??? . . . 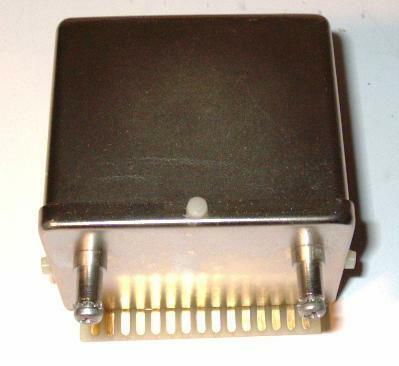 The HP 10811A/B, using an SC-cut resonator, is very similar physically to the HP 10544 that used a AT-cut resonator. The SC-cut crystal has several advantages compared to the AT cut. It has a much smaller temperature coefficient, the resonator can be operated at a higher drive level, which improves the signal-to-noise ratio and short-term frequency stability without degrading the aging rate; it has faster warm up with less frequency overshoot. The SC cut is a doubly rotated resonator and requires much tighter angular tolerances when the crystal is cut from the quartz bar. 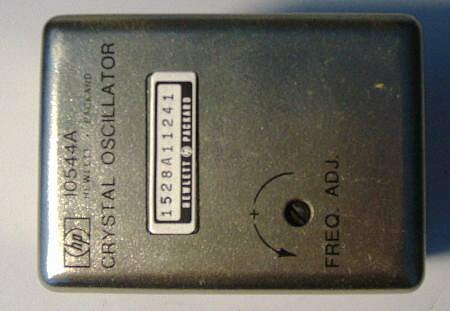 The SC-cut resonator came into commercial production around 1980. The use of SC-cut resonators in oscillators immediately improved their performance of the stand alone HP 10811 series OCXO installed in their test equipment.